Ned in the US sent me images of another rare and collectable CD in his collection. 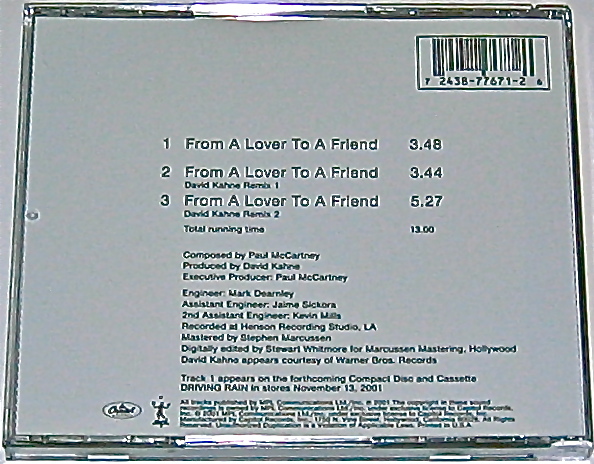 This time, Paul McCartney’s US version of the CD single “From A Lover To A Friend”. It was released in 2001 just after the terrible news of the World Trade Centre attacks in New York City came through. (In fact, at the time of the attacks McCartney himself was stranded on a runway at JFK Airport just outside NYC in a plane that had been grounded that day due to fears that other aircraft might be hijacked….). 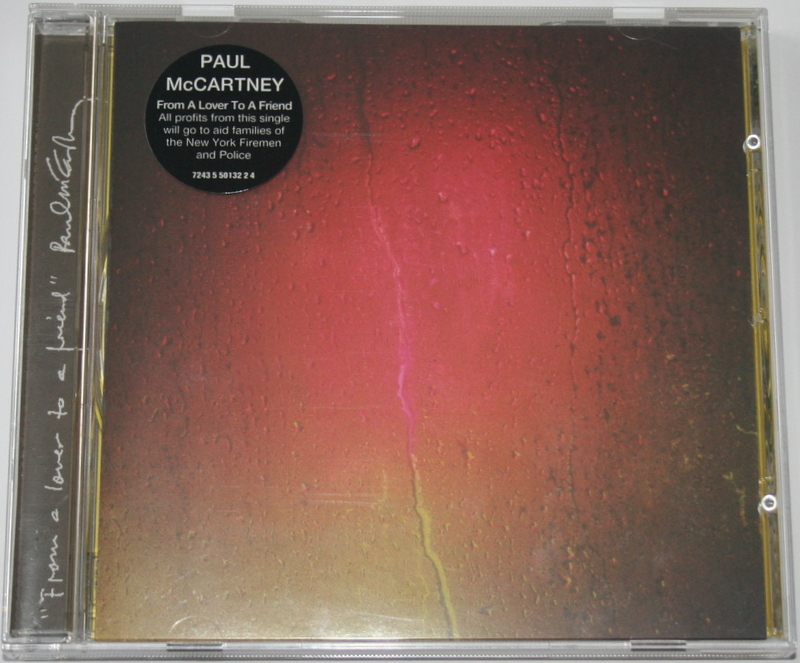 In September 2001 Paul McCartney had just released the first CD single from his new album “Driving Rain”. On both sides of the Atlantic this was to be Track 2 from that record, the song “From A Lover To A Friend”. 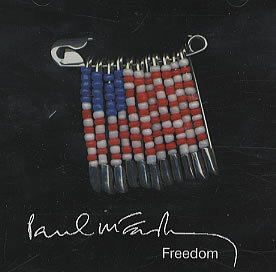 However, as a result of what happened on 9/11 he decided to withdraw “From A Lover to a Friend” in the US and rush-release a different single, a patriotic song called “Freedom” which he’d written the day after September 11. Incidentally, all profits from the “Freedom” single (right around the world) went to aid the families of the New York Fire Brigade and Police who lost their lives trying to assist those in need and to deal with the catastrophe. 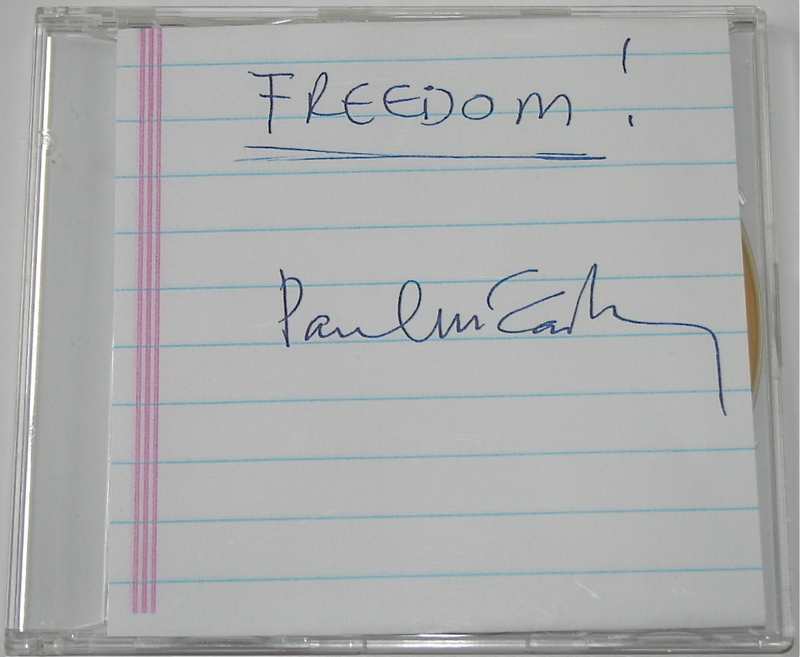 Promo cover for US "Freedom"
The hand-written look and signature on a piece of paper from an exercise book was actually properly printed. 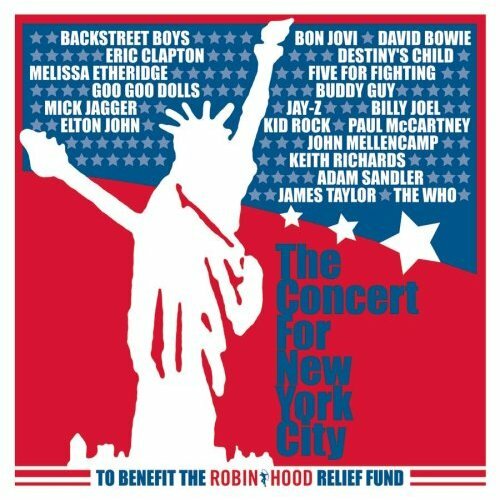 There’s more info about “Freedom” and a video of the Concert for New York live performance of the song (plus a live “Let It Be” with Eric Clapton) here. 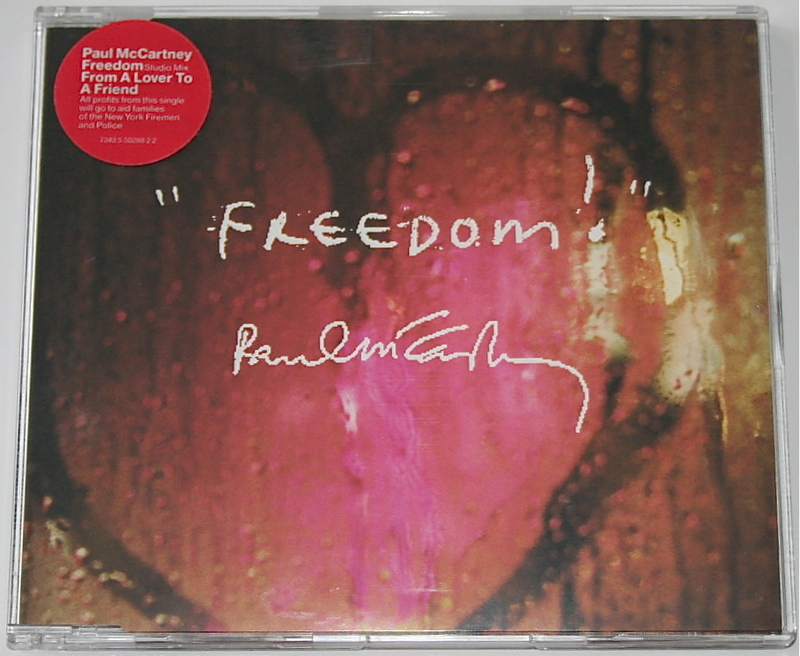 This entry was posted in Beatles Collecting, Beatles Related, Paul McCartney, Rare Beatles, Uncategorized and tagged Beatles Collecting, Beatles Related, Freedom CD, From a Lover to a Friend, Paul McCartney, Rare Beatles by beatlesblogger. Bookmark the permalink. Just saw your post after a Google search. 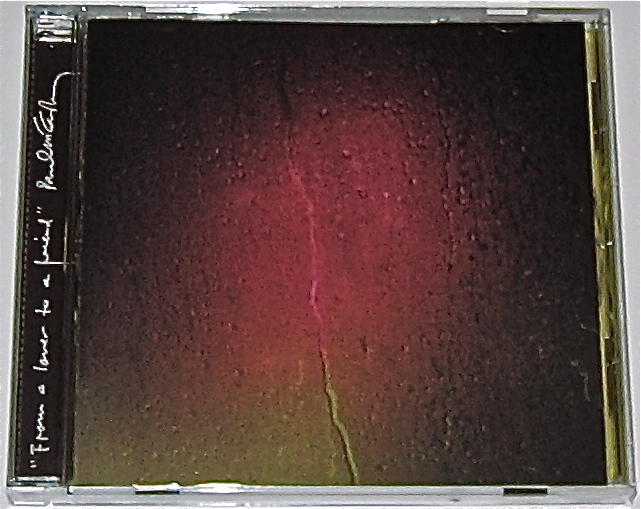 I, too, have one of those rare U.S. release versions, with part of the artwork but not all (but the CD is intact). Any idea as to value? Hi – its hard to say. Without it being complete (all artwork, etc.) takes away considerably from its value.